In February 2004 a group of like-minded Hamburg personalities from politics, commerce, science and the media joined forces to found the “Hamburg Society for Promotion of Democracy and International Law”. 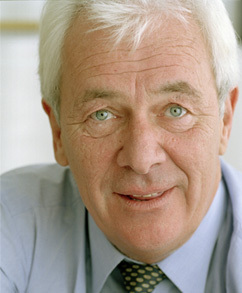 Hamburg shipping company owner Peter Krämer is the Society’s founder and sponsor. This charitable association subscribes to the goals and principles enshrined in the United Nations Charter. Its aim is to enhance social awareness of urgent issues relating to the securing of global peace. In the media, at scientific and political events, and via research initiatives, the association presents approaches to solving acute conflicts.